One of the things that I love doing (but irritates my wife) is watching multiple versions of the same movie. 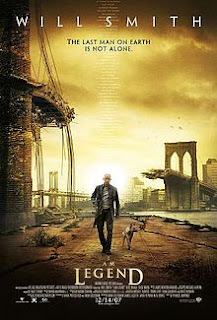 This year I choose the various incarnations of Richard Matheson's "I am Legend". 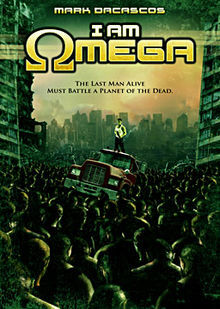 I had read the book years ago back in grad school and I recalled seeing "The Omega Man" (which I ad always thought the Police song was based on). Well the new I Am Legend was on so I figured what the heck. 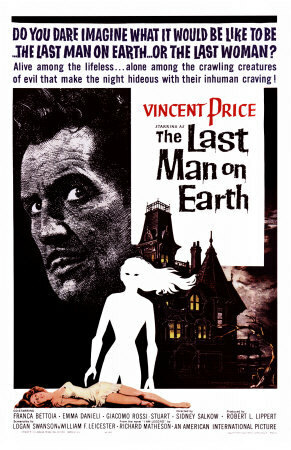 Vincent Price stars as the Robert Neville character, Robert Morgan. The interesting thing about this movie is that Matheson worked on the script, but decided that he didn't like it. The vampires in this version are more of the classical, "Hammer" vampires. Affected by mirrors, sunlight and garlic. This premise though is the same as in the book. Neville/Morgan spending his day killing vampires. As far as the movie adaptions go, this one is the closest to the book, though there are still some differences. The name it the first obvious one. Plus while the vampires are closer to the book, they are more like zombies here in the movie. They are fast and more vampire like in the book. The feel of the movie is closer to the book as well. Vincent Price of course is always a joy to see in the movies and frankly it would not be Halloween without him. This movie was also an influence on George Romero for his zombie movie Night of the Living Dead. I remember seeing this one years ago. At the time I thought it was a little stupid and slow. It took a lot a liberties with the book and the vampires now were suddenly a thinly disguised racial tension metaphor. Rewatching it now a lot fo that still holds true, but it is also a fun horror/action movie. So what was going on in the 70s? Cause there is a lot of fear in this movie. Not horror movie fear, but fear of the world written into the movie. Chemical waefare, race riots, all sorts of things to scare you. Now I like Heston in this, even if his Robert Neville is getting further away from the book. The movie has a similar ending to the book, but not really the same impact. This movie is notable for one of the first interracial kisses between Charleston Heston and Rosalind Cash. It is a passable version. Will Smith is fun actor and he is good in this role. The movie though in the translation seems to have lost something since the 60s and 70s. I am not even sure what to say about this one. I will be honest, I like The Asylum. Their "Mockbusters" are often a lot of fun But this one fell far from the mark. It only shares surface similarities with the other movies and book; only enough to make it any generic Post Apocalypse movie really. I suppose you can admire their cheek of it all. Last Man On Earth, definitely. 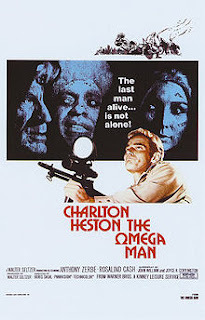 Omega Man is fun, in a stupid sort of way (did they really just say, "Honky Paradise"??!?!?! ), but LMoE has the creeping dread that define (imo) the best horror films. As a kid, I remember watching it from behind the couch during that scene where the bodies are being dumped off the edge of the cliff and it still gives me the willies to this day! The Will Smith movie was fine, I suppose. Mr. Smith is certainly charismatic, but the movie itself was forgettable. The rest of them really aren't anything to write home about.